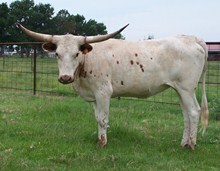 Total package, color, body, & horn over 77.25 ttt he is nearly a ton of pure muscle. 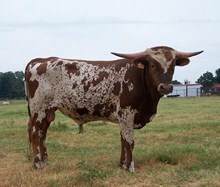 What a bull, what a pedigree!! 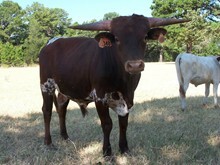 Gorilla is a bull raised by the Mosser/Marquess partnership. 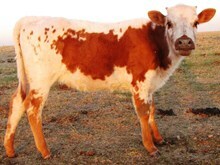 The color of his calves is all over the board. 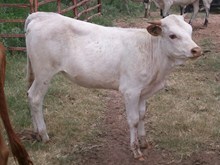 His weight hover right at 1800#. 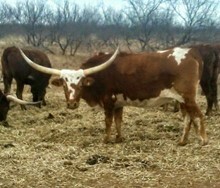 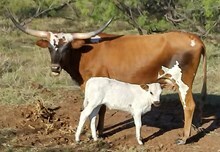 The horn on his offspring start out a little high, then start rolling. 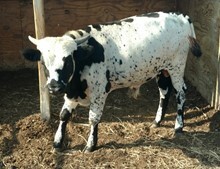 His dam Delta Van Horne was one of the best cows in many minds raised by Johnnie Hoffman. 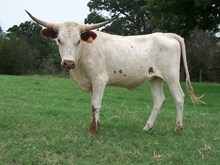 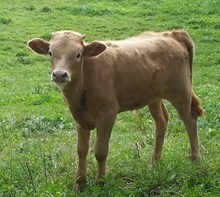 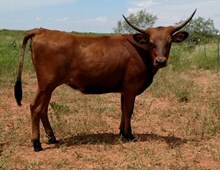 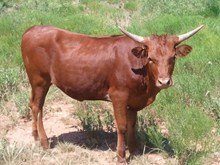 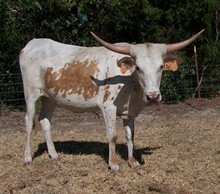 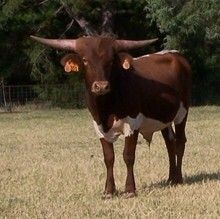 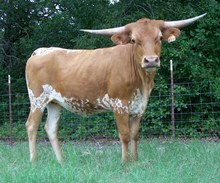 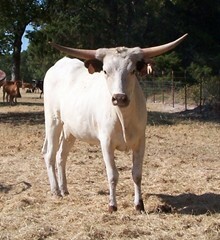 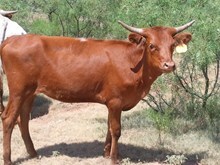 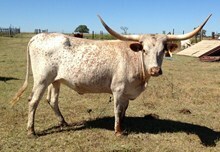 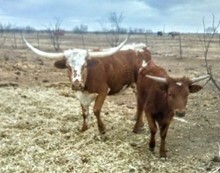 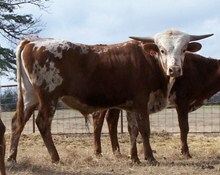 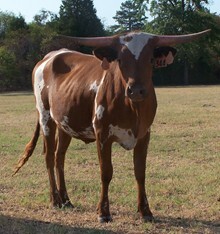 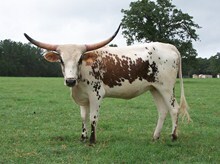 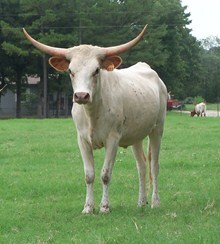 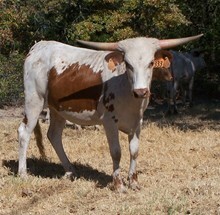 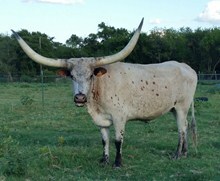 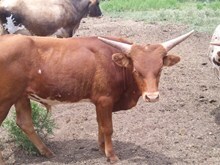 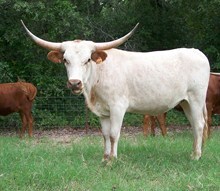 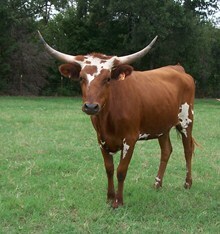 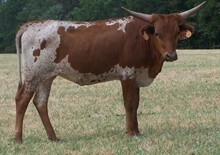 His half sister (my favorite cow) is Texana Van Horne. 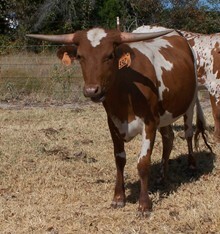 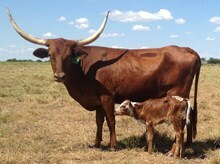 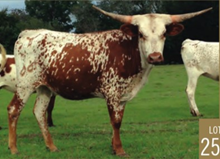 What great genetics to add to your herd! 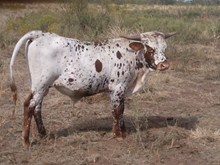 50 UNITS AVAILABLE AT THIS PRICE. 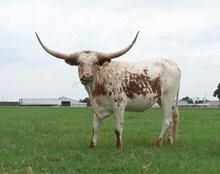 We have 100 straws at $100 per straw.